A two-day, one-night tour in Tagaytay City may not be enough especially if you want to experience more of the city tour, enjoy bulalo in a cool weather, kayak in the Taal Lake or simply stop time and believe the majestic message of the overlooking views. This Tagaytay tour itinerary for two days is just a mere suggestion. Actually, our first plan when we visited Tagaytay is to have it as two days (although in the end we only got one day to tour Tagaytay). The itinerary below was our original plan itinerary on visiting Tagaytay City. I have formatted the itinerary in this way so you can go, look over and tweak some of the activities and enjoy your trip. 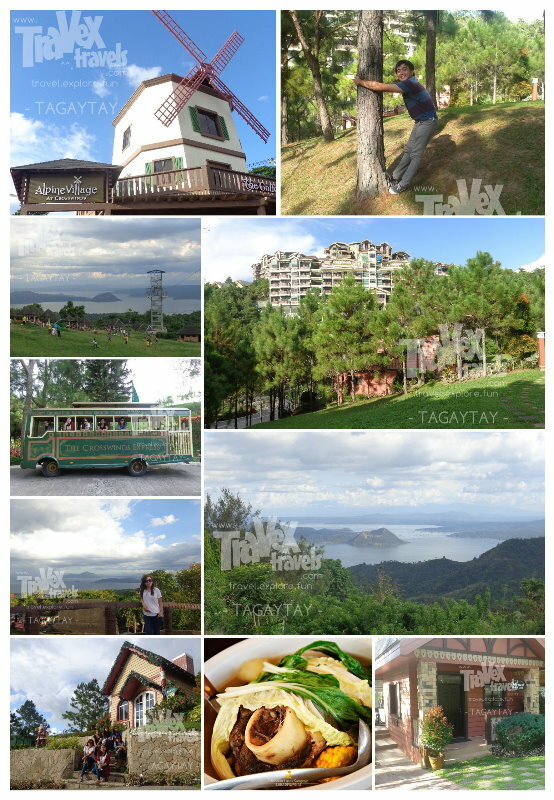 Prepare yourself to a short visit to Tagaytay City! Head to Starbucks Coffee or McDonald’s Tagaytay which has a great overlooking view of the Taal Lake and Taal Volcano! Sleep in the hotel of your choice. Spend you remaining time to buy pasalubong! *You can then mix or choose whatever options you want for your two-days, one-night itinerary in Tagaytay. Most of the tourist attractions are along the Aguinaldo Highway so you won’t really get lost in Tagaytay City. Tagaytay City is a small city! For the accommodation, you can book your hotel in a nearby town if on a budget, or in small inns. However, if you want to enjoy more and price is not a problem, I do suggest to have it booked in Tagaytay City. To enjoy more, you can extend your stay to three days and two nights, by having some more me or family. You can also visit nearby Nasugbu or Taal town and engage in historical attractions and a basket of new more adventures.